Hui Ye was born in Canton, China. She is video and sound artist based in Vienna. 2004-2011 studied composition and electroacoustic composition at the University of Music and Performing Arts Vienna. 2010-2017, studied Digital Arts and TransArts at the University of Applied Arts Vienna. Her artistic works spans video, composition, sound performances, sound and video installations. Having an artistic background as composer and sound performer, exploring the relationship between sound and moving image, along with experimenting with how these time-based media can be transformed in new and challenging ways, is one the main concern of her work. As a Chinese artist based in Vienna/Europe since years, Hui Ye observes and understand her personal experience and let it influence her artistic work. 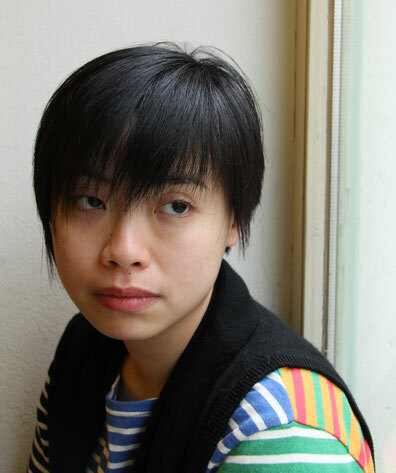 The question how social identity is shaped in different cultural and political contexts is of increasing relevance to her.Ye’s works were shown/performed in Europe and Asien such as Künstler Haus Wien, Krinzinger Projekte (Vienna, Austria) ; WRO Media Arts Biennial (Wroclaw, Poland); Banská St A Nica transKUNSTHALLE (Slovakia); ISCM World Music Days 2016 (Tongyeong, Southkorea) ; Times Museum ( Guangdong, China); Rockbund Museum (Shanghai, China). Since 2017 Hui Ye works as guest lecturer at Guangzhou Academy of Fine Arts (GAFA) in Guangzhou, China.